Jennylyn Mercado and Dennis Trillo's son Calix were spotted bonding together in a Jiu Jitsu class. How adorable is that! Meanwhile, Dennis has also been seen bonding with Jennylyn's son in several occasions such as Jazz's school family day and the Mercado's trip to Korea last year. Check out the photo of Tita Jen and Calix below. 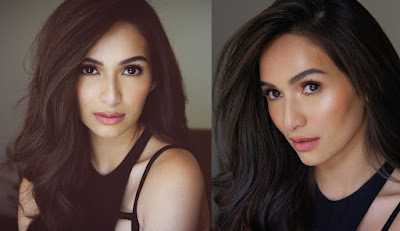 Ultimate Star Jennylyn Mercado reveals her secret to why she's no longer afraid of the sun. For a girl like Jennylyn who loves to hit the beach and stay under the sun for hours, she makes sure that her skin is protected against the sun's harmful rays. That's why, Jennylyn thanks Belo Sun Expert for giving her skin maximum protection while she has all the fun she wants under the sun. Kapuso power couple Jennylyn Mercado and Dennis Trillo are spending their Holy Week break to retreat and recharge at The Farm at San Benito Batangas. The lovely pair gave their fans a glimpse of their vacation through posts on their respective social media accounts. 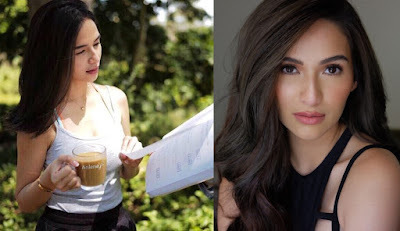 Jennylyn Mercado is the new face of Anlene White Coffee. The Ultimate Star starts her day with a cup of Anlene White Coffee which keeps her strong and going throughout the day. She says that Anlene White Coffee not only gives her an extra boost on busy days but most especially it's really good. Congratulations Jennylyn on your newest endorsement! 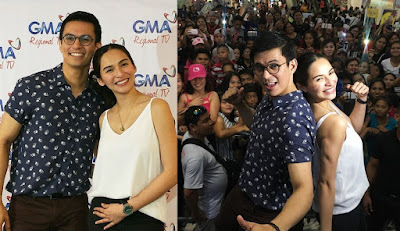 The lead stars of GMA Network's upcoming prime time series 'The Cure' Jennylyn Mercado and Tom Rodriguez greeted their fans in Davao as they join the 'Araw ng Dabaw' celebration. Jennylyn and Tom along with other Kapuso stars were warmly welcomed by the Davaoeños during the float parade and their mall show at SM City Davao. Watch out for 'The Cure' Kapuso! Directed by Mark Reyes. Check out some photos below. Ultimate Star Jennylyn Mercado is looking beautiful as ever at the television commercial shoot for her new endorsement. Further details about the said endorsement have yet to be announced. Here are some photos from the talented actress' glam team. IN PHOTOS: Jennylyn Mercado is pure hotness in bikini! It just got really hot in here! Jennylyn Mercado burns up the Internet anew with her sizzling photos in a daring swim wear. The once Sexiest Woman in the Land proves that she still got it. Her dedication to fitness and healthy living serves as an inspiration for many women especially moms like her. The award-winning Kapuso actress was spotted at Marina Bay Spa and Lifestyle Club spending quality time with her son Alex Jazz.